This past December (2014) I was asked to be part of a local gallery exhibit and here are the four pieces I submitted. 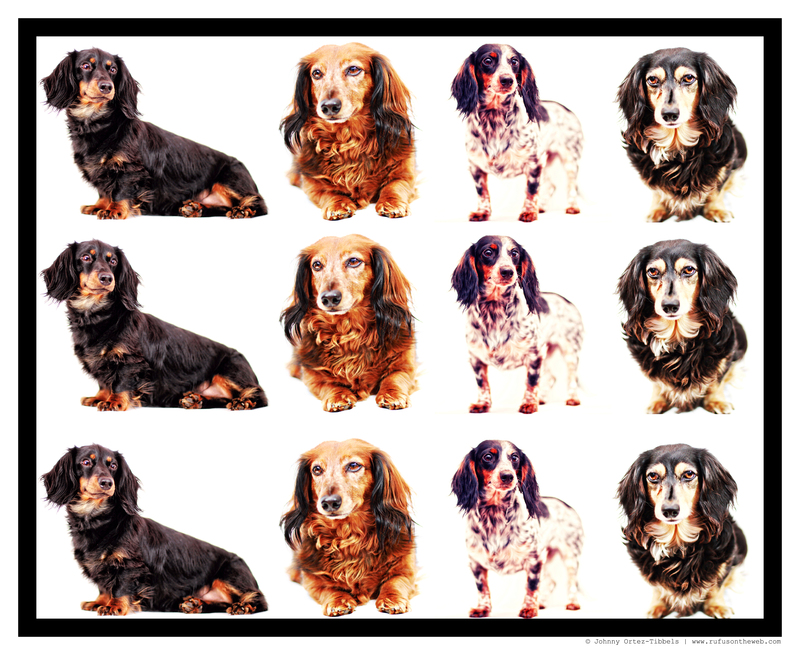 It was my interpretation of dachshund iconography, and I really enjoyed playing with repetition, pattern and rhythm. 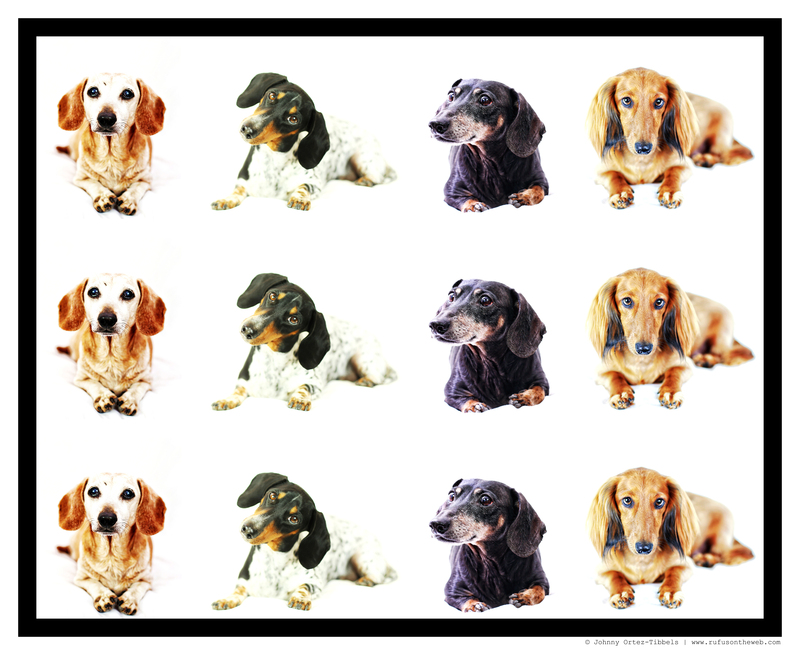 What do you think dachshund friends?! 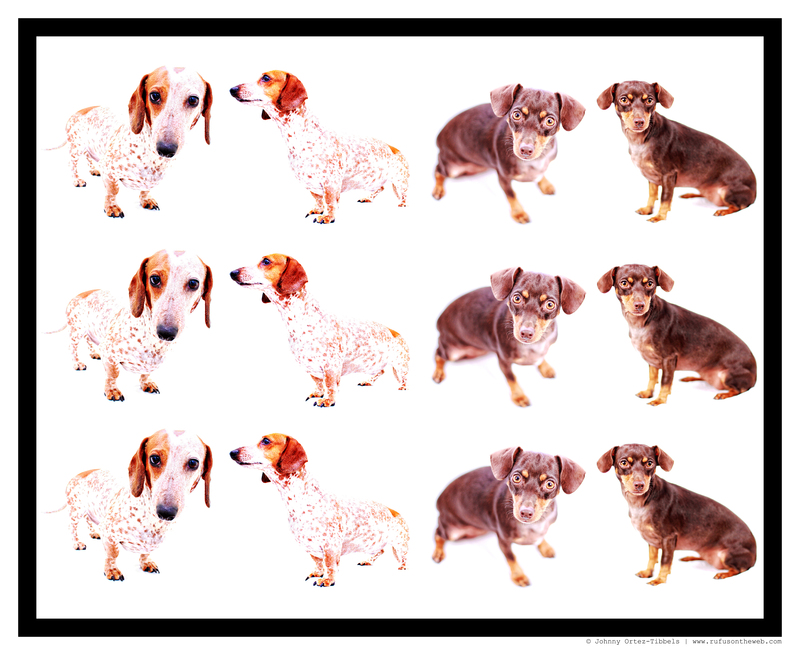 This entry was posted in 102 Dachshunds and tagged #ADachshundsLife #HappyHounds, #dachshund, #DachshundPhotography #DachshundArt #OriginalPhotography, #DoxieArt, #smooth dachshund, doxies, longhairdachshund. Bookmark the permalink. Great pictures of my favorite subject!! very nice as always…..happy new year! Johnny, you are so talented!!!! Nice work!! 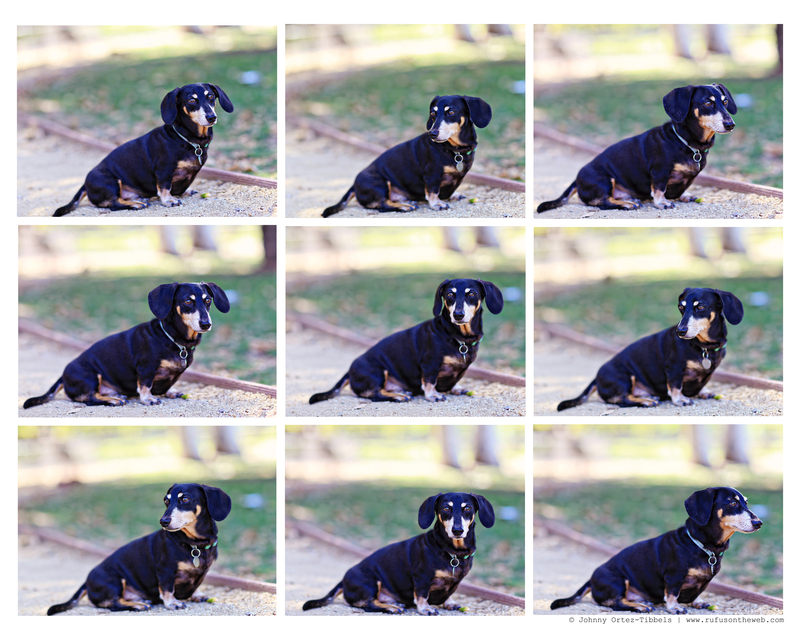 Doxies are so expressive and the possibilities are endless! Interesting concept with the repetition. Interesting! I think the pictures are only as good as the subjects. If you have one that is more to the gray /white face, the contrast isn’t enough. I also don’t think the dach/mix should be included. To be honest, I don’t really care for your choices after seeing so many of your pieces done so well.